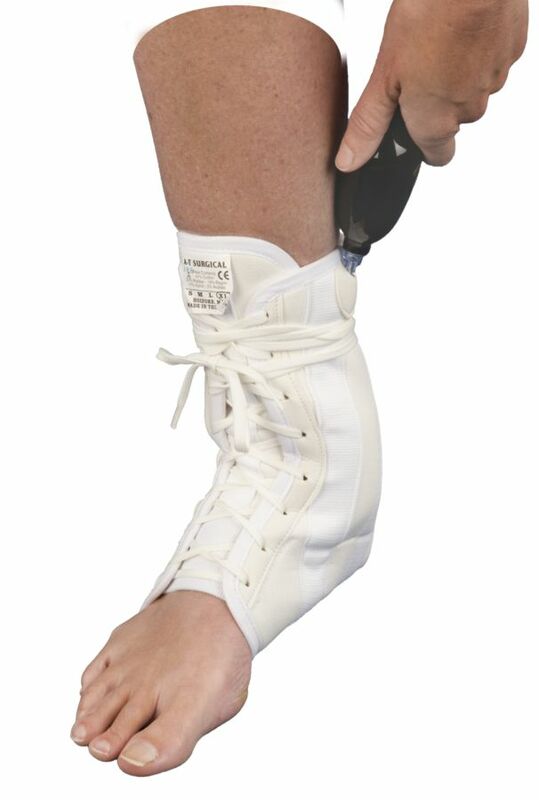 The A-T-02 AT® AIR GEL ANKLE BRACE has been designed to stabilize ankle and heel so that injury is prevented. It aids as a tool to prevent injury and treat pain and inflammation related to high impact running, training and sporting. Compression provides soothing heat while promoting circulation for healing and the reduction of inflammation. 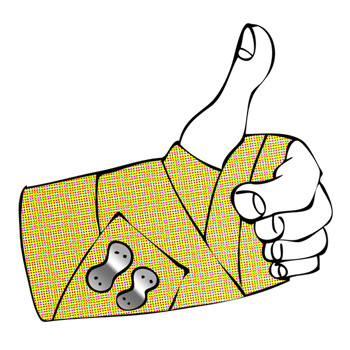 Orthopedic immobilization limits excessive movement to prevent injury of lateral and medial collateral ligaments. 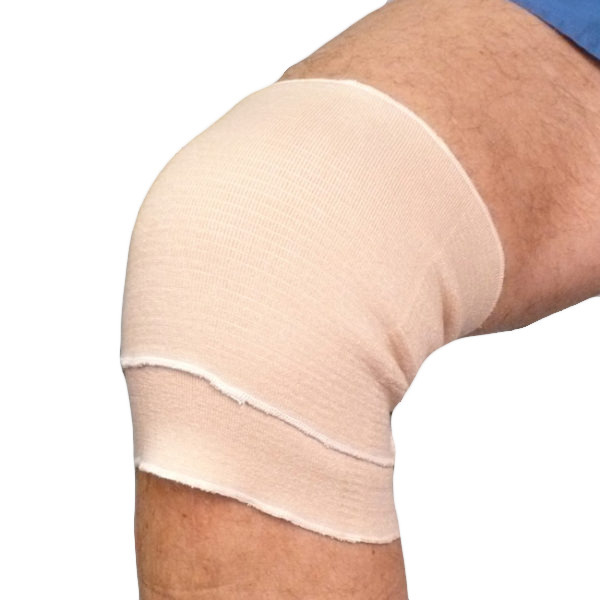 It is made with superior craftsmanship and examined by the highest standards in the industry to prevent irritation while ensuring proper placement with a snug, comfortable fit. It supports weak ankles and heels for everyday aches and pains, weight training and sports. For the treatment and prevention of minor strains and sprains, arthritis, weak ankles and heels, muscle fatigue and more. So, it is recommended by professionals to USE The A-T-02 AT® AIR GEL ANKLE BRACE to protect ankles, heels, Achilles’ tendon and ligaments. Designed For Comfort: Designed and manufactured to prevent sprains, strains and other injuries while maximizing comfort. 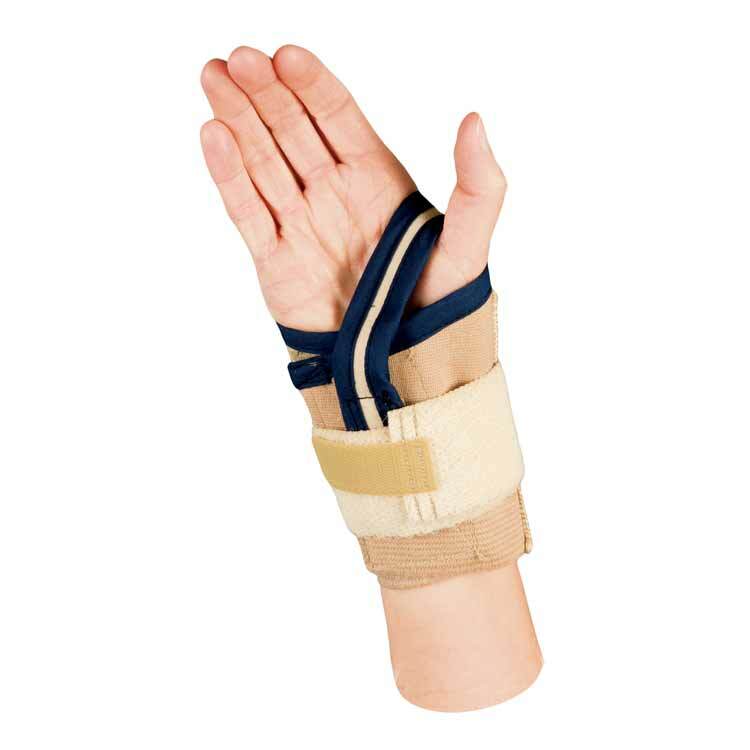 Provides Added Stabilization and Support : This ankle brace have adjustable cross tension straps for added stabilization and support. 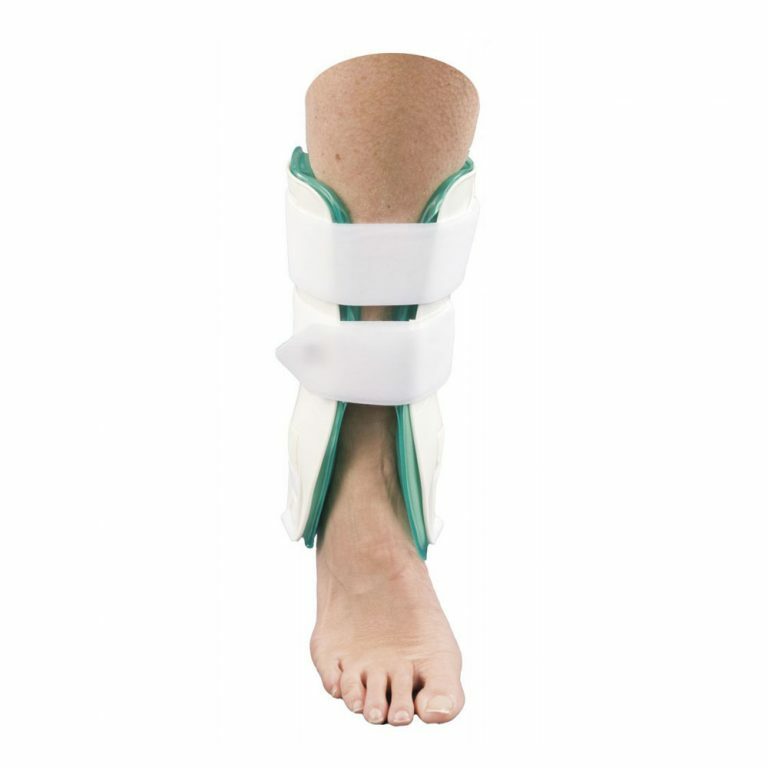 Unique design for full ankle support: It is uniquely designed to prevent sprains, strains and other injuries covering the patients’ full ankle. Chamber filled with air and gel:. Air insert includes air tube to adjust for optimal fit and compression. 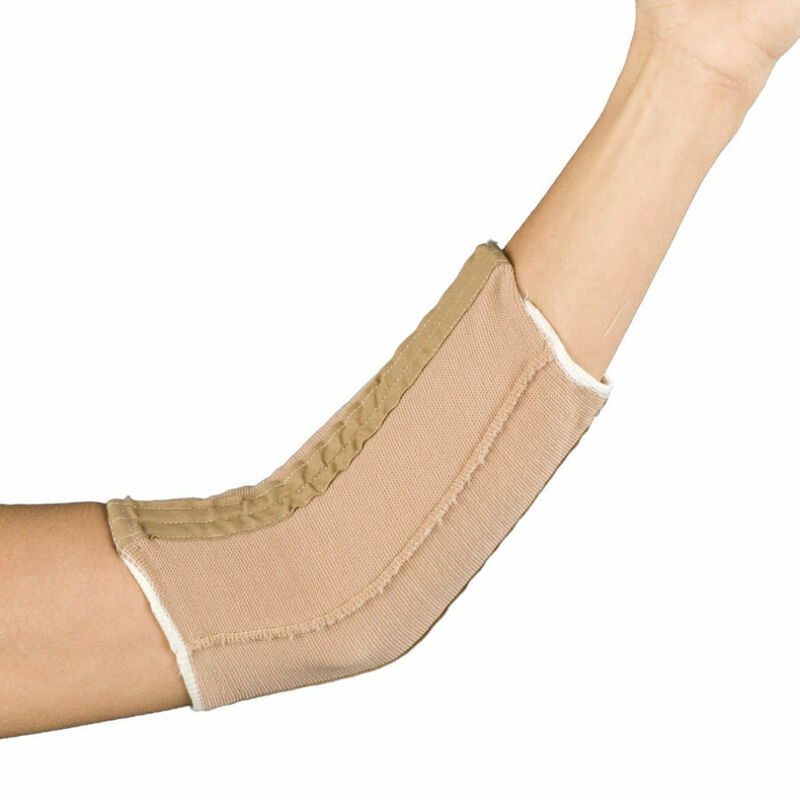 Gel insert can be removed and chilled for cold therapy. Use with your shoes on : This gives you the independence to wear your shoes as it has an open foot design that makes it breathable and comfortable. Use for both Cold and Hot therapies : Can be used for both Cold/Hot therapies for prevention of ankle pain.Gel insert can be removed and chilled for cold therapy or microwaved for hot therapy. Recommended by Professionals : ANKLE BRACEs are recommended for the treatment of pain related to sprains, strains, arthritis and excessive muscle joint movement, inflammation and injury in ankle ligaments.